It started with a car trip to Hakone where there is a small samurai village. 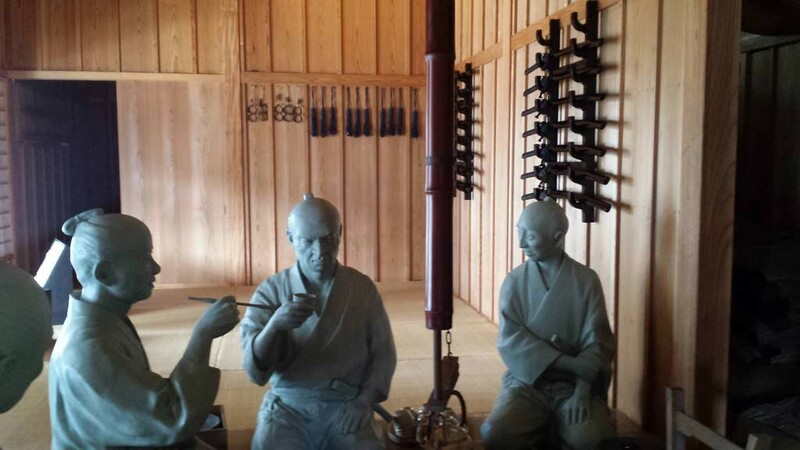 There was a recreation of a village for samurai, made to look the way it would have in the edo period. It was amazing! The nature and the atmosphere was refreshing. The temprature was perfect for a guy from Northern-Europe; Not too cold, and not too hot. After that, we went to a hot spring with panorama skyview! I loved it! When I felt like I was boiling, a nice and kind breeze cooled me down. On our way home from the hot spring, we stoped to buy some kind of fish cake. It was not the best fish cake I have tasted, but it was good. When we got back home, my roommate Simon and I had some time to rest. Our host-family prepared dinner while we were resting. The dinner was extremely good! Fried chicken, fish cake, salad, beer, milk and potatos (because I am from Norway, and LOVE milk and potatos). It was a delicious dinner and a perfect ending to this adventure in Japan with World Campus International – Japan!